YMCA is a worldwide operating chain with beneficiaries from 125 international associations that mainly works to establish the Christian faith and belief. In 1844, this company was established by George Williams. Individual YMCA offices are affiliated to the national organizations, which in turn are part of the World YMCA alliance and Area YMCA alliance. George Williams established the company with the motto to empower the young people. 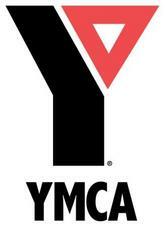 SBA is the rival organization of YMCA. In 1978, world alliance of the YMCA offices was established in Geneva of Switzerland. K.T Paul was the first national secretary of this worldwide YMCA chain. The organization is now operating many branches in different Asian countries, including India.